Members of the Civil Air Patrol Peachtree City-Falcon Field Composite Squadron. Photo/Submitted. 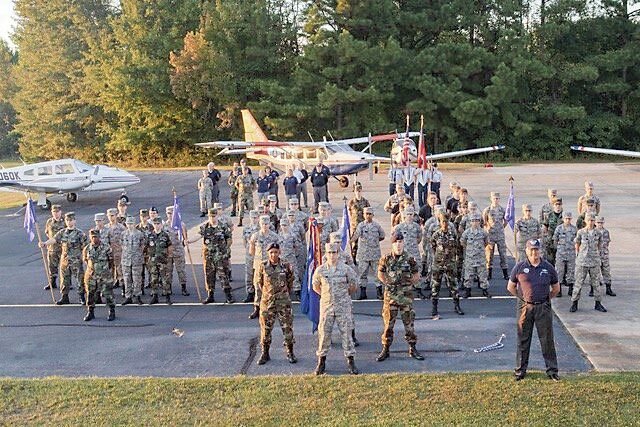 The Peachtree City Falcon Field Composite Squadron (SER-GA-116) of the Civil Air Patrol has outgrown its current location at the airport and needs to find a new home by April 30. CAP Capt. Candice Serafin said the unit is seeking assistance from our community, local businesses, public school officials, private school officials and churches. 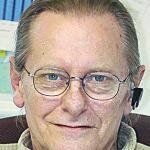 She said the composite squadron must find a new home by April 30. “We would like to thank ATP Flight School for their generosity for our ‘space’ for the past two years. They, too, have grown exponentially. Being on the airport generates excitement and a valuable ‘hands on’ experience for our 134 cadets and 94 senior members. Ideally, we would like to continue our location on the Atlanta Regional Airport Falcon Field. However, we will consider any facility in Peachtree City and adjacent areas,” said Lt. Col. Joel Seidband, Commander CAP. Serafin said the local CAP unit helps the Fayette County community, the state and nation with emergency services missions. Serafin said the local unit supports the community by providing Commemorative Air Force’s Dixie Wing WWII Heritage Days parking assistance, aerospace education and recruiting. CAP’s awarding-winning program promotes aerospace, aviation and STEM(Science, Technology, Engineering and Math)-related careers with engaging, standards-based, hands-on curriculum and activities, said Serafin. “The program shapes the experiences and aspirations of youth both in and outside of CAP’s cadet program. Our cadets are experiencing orientation flights in powered and glider airplanes, aerospace education, earned 183 academic achievements, attending Spring and Winter week-long encampments at military bases,” Serafin said. CAP provides experiences in radio communications, Cyber Patriot, ground team training, land navigation, emergency services training, rocketry, STEM programs, leadership, physical fitness, character development and scholarship opportunities. For more information visit www. GA116.org.